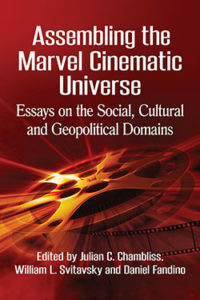 The Marvel Cinematic Universe, comprised not only of films, but also comic books, televisions series and shorts, has generated considerable fan engagement with its emphasis on socially relevant characters and plots. Beyond considerable box office achievements, the success of Marvels movie studios has opened up dialogue on social, economic and political concerns that challenge established values and beliefs. This collection of new essays examines those controversial themes and the ways they represent, construct and distort American culture.